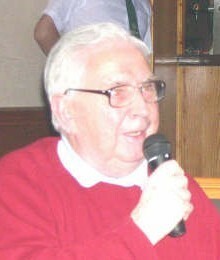 Jimmy Donnelly is Vice President of the Belfast Celtic Society and a former Belfast Celtic player. This article first appeared in the Newtonards Chronicle. With the 2008 FA Cup Final looming, memories turn to the first Irish League player to win that coveted medal. In 1938, Jimmy McAlinden, as a 19 year old, was transferred from Belfast Celtic to 1st Division Portsmouth for a record fee of £7500, when fees of £10000 in world football were considered a mirage. Just four months later, in 1939, he played a major role in the shock 4-1 victory over League leaders Wolverhampton Wanderers in the FA cup final at Wembley, in what was known as the "monkey glands" final. Wolves players were given "monkey glands" injections to make them perform better. On the outbreak of war, with all professional contracts cancelled, McAlinden returned to Belfast Celtic and, as captain, led the incomparable team of the 1940s which was virtually unbeatable. He formed a lethal partnership with former Ards player Walter Hollinger who scored the only goal in the Irish cup final against Glentoran. Amid the turmoil of war, Jimmy was first choice for Ireland and played in all the wartime internationals which did not, unfortunately, count as caps. 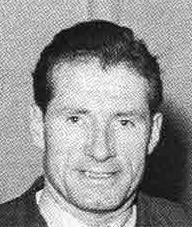 He then spent a season with Shamrock Rovers and was picked for Ireland against Portugal and Spain before he won his third cap for Northern Ireland against England in 1947. Like many great players, he was robbed of his peak years, by the Second World War. He then returned to Portsmouth, as a 28 year old, and was transferred to Stoke City and later to Southend Utd for £6500. As a manger he achieved even greater prominence. His 13 year reign with Glenavon brought the Lurgan club every trophy in the IFA cupboard and, with Distillery, he guided the Whites into Europe for the first and only time in their history. Few Irish footballers have ever equalled the heights scaled by Jimmy McAlinden of the great Belfast Celtic club. He died in 1993, aged 75, with one of the biggest funeral attendances seen in Belfast from the Ligoniel church.